The global fast food business is worth more than $200 billion. With stakes this high, it's more important than ever to know where fast food brands stand with consumers. 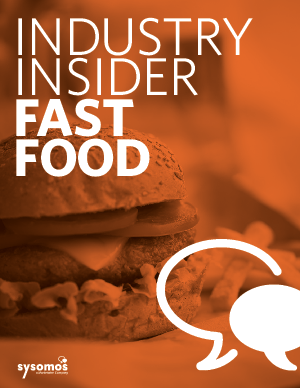 Our free Fast Food Industry Insider digs into social media conversations to discover who's winning (and losing) the burger wars. Our "state of the fast food nation" report is just one example of the powerful insights you'll get with Heartbeat powered by Sysomos. Whatever industry you're in, Heartbeat can give you the true social intelligence you need to gain a competitive advantage.